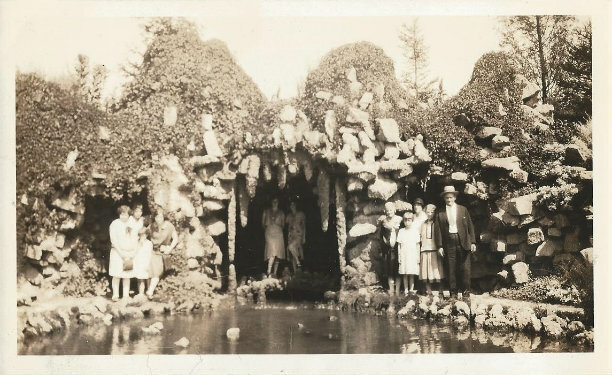 Photo provided by Jodie Brown of the Grotto in Memorial Park. Photo taken August 1930. History: Memorial Park is a tribute to the men and women of Fort Wayne and Allen County who gave their lives in service of their country during World War I. The land that was formerly known as the "golf grounds" and that would later be Memorial Park was acquired from Ms. Minnie Hill White on November 29, 1918, only eighteen days after the signing of the armistice that ended the conflict. Known for several beautifully sculpted monuments commemorating various participants and events in the conflict, it also includes a monument to aviation pioneer, originator of skywriting and Fort Wayne resident Art Smith. Smith Field Airport would later be renamed in his honor. Thanks to the Warrior Breed Motorcycle Club for raising funds for an additional 71 trees that were planted in Memorial Park Grove. The trees represent the men and women from Allen County who died in Active Service during WWI. 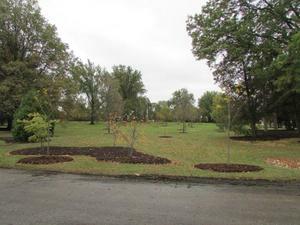 A total of four species were planted including: white oak, hackberry, elm and tulip. 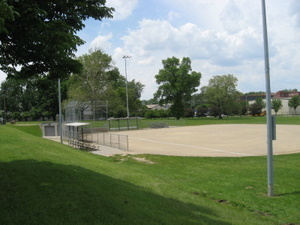 The playground is located near the drive into Memorial Park. 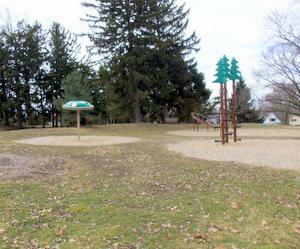 It includes classic equipment such as a slide, jungle gym, and a see-saw. 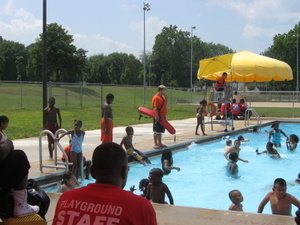 The swimming pool at Memorial Park is located near E. Washington Blvd. 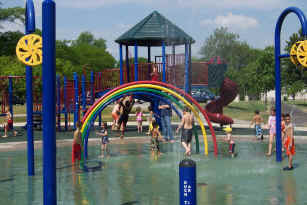 The Sprayground at Memorial Park is the crowing glory of the Fort Wayne Parks & Recreation Department's spraygrounds. Full of colorful play equipment and plenty of water to refresh the entire family on a hot summer's day. 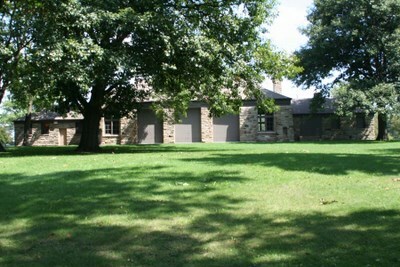 Memorial Park is full of great old trees, picnicking spots and historical memorials. It's a great place for a stroll in the park. 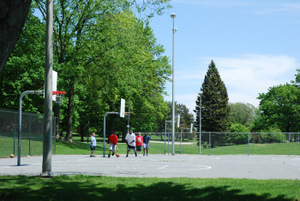 Several basketball courts are available for play at Memorial Park. They are located right off of Maumee Avenue. Take our on-line survey now! This quick and easy survey will only take 1 minute or less and will provide us with valuable information! 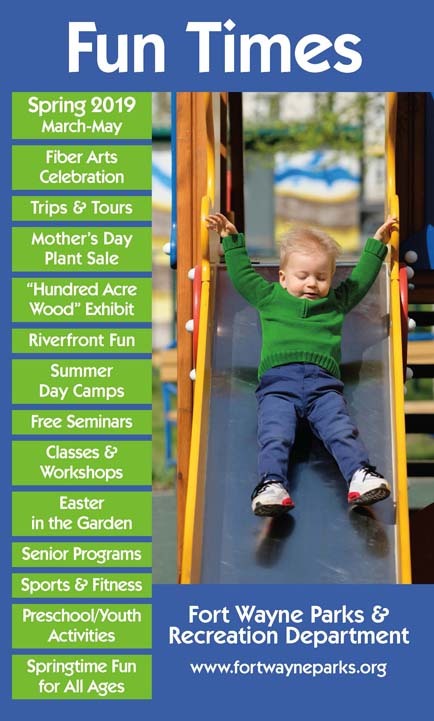 Copyright © 2019 - City of Fort Wayne. All Rights Reserved.